Finding the right bicycle should always be an exciting ordeal. After all, you’re either getting it for transport, exercise, and entertainment, all of which are beneficial to you! But you shouldn’t settle for any ordinary bike, especially if you’re looking to keep it cheap. Many companies like to mass produce cheap bikes that only last a couple of years, which is probably far from what you’re trying to invest in. Luckily, we understand the struggle that you’re going through. Not all of us have thousands to shovel out on a cheap bike, but it doesn’t erase the need for one. After searching all over the internet through blogs, review websites, and other knowledgeable sources, we’ve made a list to help you find the best cheap bike for you! Don’t settle for a fragile knock-off bike brand, it’s time to buy what you know that you deserve. Cruisers are some of the most relaxed bicycles on the market. They let you sit back and truly enjoy the ride and the surrounding scenery without having to put an insane amount of effort into getting around. 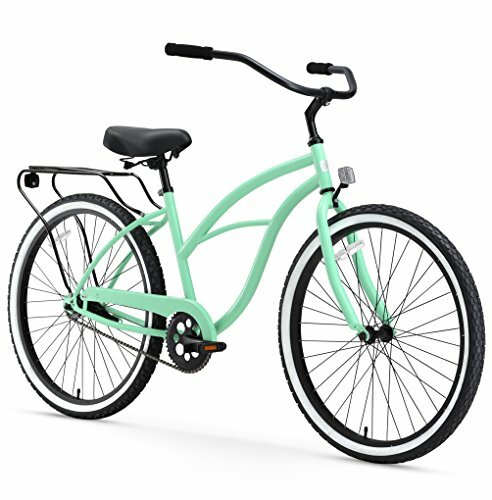 The Firmstrong Urban Lady Beach Cruiser Bicycle is a classic example of a cheap bike that still manages to maintain a durable structure and design while leaving extra cash in the bank. 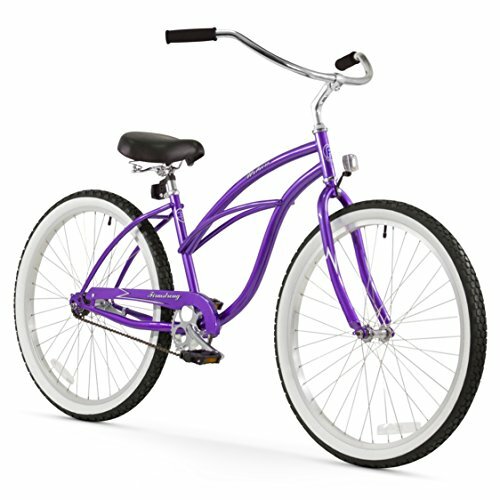 One of the coolest features of this cruiser is the fact that there’s so many colors and designs to choose from. With colors like Baby Blue, Vanilla, Purple, and Mint Green, you’ll never run out of options on this customizable bicycle. The varying tire sizes range from 24 to 26 inches and include multiple different gear settings for you to select. The aforementioned sad truth about cheap bikes is that you don’t always end up with the best construction. A lot of brands like to skimp out on the materials because they’re not the first thing that people think about. Luckily, the steel frame and aluminum wheels hold this bike from rusting and breaking down after years of use. Why We Liked It – Finding a smooth-riding cruiser is like finding a needle in a haystack at lower prices. 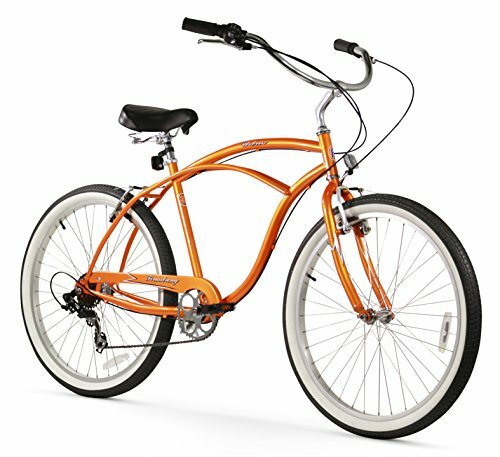 With this bike, you’ll get the comfort and design of a nice cruiser without hurting your wallet. The Mongoose Dolomite Fat Tire cheap Mountain Bike is an excellent, low-cost option for those looking to go off-road. The large tires are perfect for barreling over rocks and bumps in the trail that might otherwise cause problems for thinner tires. The thickness of the tires also provides a much smoother ride in such terrains. This cheap bike comes with some of the best shifting properties around. With over 7 speeds to choose from, you’ll have no problem finding comfortable settings for all inclines and declines along your journey. Not only that, but the special shifting mechanism makes it easy as can be to transition while riding. When shopping for a new bicycle, the brakes aren’t necessarily the most exciting part. However, safety is of the utmost importance. 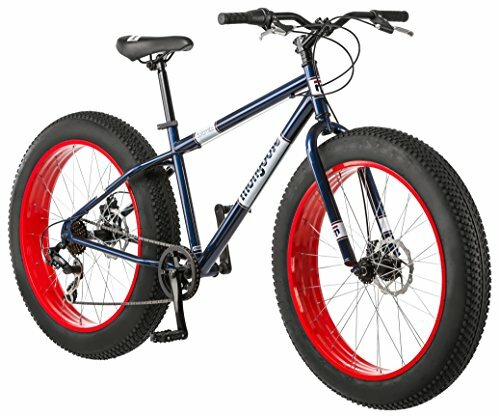 The breaks on this fat tire bike are positioned on the front of the bicycle and made to withstand all sorts of terrains. You never know when you’re going to have to slam on those brakes going downhill. Having the best of the best at your disposal is much-needed peace of mind. Why We Liked It – It’s hard not to like a fat tire bicycle that fits a low budget. These bikes are meant for the toughest riding situations, from the construction to the brakes. Looking for more power? Try an electric fat tire bike. Road bikes are meant for exercise as well as transportation. 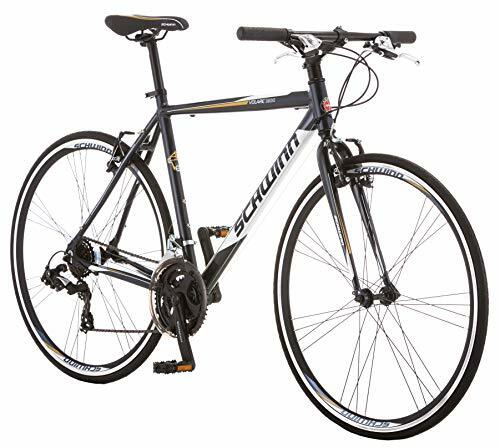 The Schwinn Volare 1200 Men’s Road Bike is an excellent combination of the two. By pairing light-weight construction with a comfortable ride, this bike is an excellent selection for commuting, grabbing groceries, and getting your heart rate going! The high-riding seat promotes healthy posture while riding, as do the parallel handlebars. The cushion is also perfect for all riders, and it can be easily adjusted depending on your height. Since it’s made out of aluminum, you’ll have no problem picking up this affordable road bike on the go. Schwinn understands the need for speeds, especially on road bikes. Riding through town, you’ll find all kinds of hills, valleys, sidewalks, and dirt paths that all require different settings to keep the ride smooth. With 21 speeds to choose from, there’s no doubt that you’ll find the exact setting you need for any situation. Another fantastic cruiser is the sixthreezero Around the Block Women’s Cruiser Bike. Made for the constant traveler, this cheap bike is among the best of the best. It has a storage compartment on the back, so you can load up and head out through the town. The lightweight, durable design is great for quickly jumping on and off the bike without having to worry about breaking or damaging the frame. Being able to pick out your favorite color is nearly the definition of a customized product. There’s a vast array of options, including Teal Blue, Coral, Light Plumb, and Cream, all of which have varying seat colors. What makes it even more customizable is the fact that you can choose the tire size and the available speeds. The name ‘cruiser’ has never been so true. This bike is made so you can get from A to B, with comfort and efficiency at its forefront. From the foam hand grips to the smooth ride to the upright sitting position, your comfort is definitely of high concern. Throw in the fact that it’s lightweight and it has the previously mentioned mounting bike rack, and you’re all set! Why We Liked It – This bike gets back to the basics of why we all love cruisers so much. They’re quick, lightweight, and great for carrying extra cargo. Hybrid bikes are slowly making a comeback in recent years. Having to buy multiple bikes for various situations is never fun. 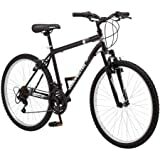 The Schwinn Discover 700c Hybrid Bicycle offers speed for the sidewalk and streets, and comfort combined with traction for off-road riding. There are also different options for men and women. Since you’ll likely be using this bike on several terrains, it’s important to know what you’re getting! A high level of durability is an absolute requirement, which is why Schwinn used aluminum to create a lightweight yet well-built construction. Fenders are implemented to keep dirt off of you while you cruise through mud, grass, and dirt. Another requirement for hybrid bikes is that they have to be able to act quickly. Braking, speed shifting, and pedaling all need to happen as soon as the rider signals them. Luckily, the Schwinn Discover 700c Hybrid bike comes with all of the above. The 21 speeds can be cycled through in second, and the four-finger braking system reacts immediately. Why We Liked It – Hybrid bicycles are great for the all-around cyclist. No terrain can stand in your way, so why let the price tag? This affordable adult bike gives you the best of both worlds. Debatably the most classic looking cruiser around the sixthreezero Around the Block Men’s Cruiser boasts similar features to its female-intended counterpart. Instead of assuming that one bike fits all, they’ve split up the two to make it even more comfortable of a ride for everyone. The everlasting stylistic design paired with the smooth acceleration is something that nobody would pass up! To optimize the riding experience for all heights, weights, and ages, this bike comes with 24 to 26-inch wheels. Choose what best suits your needs and hit the road! 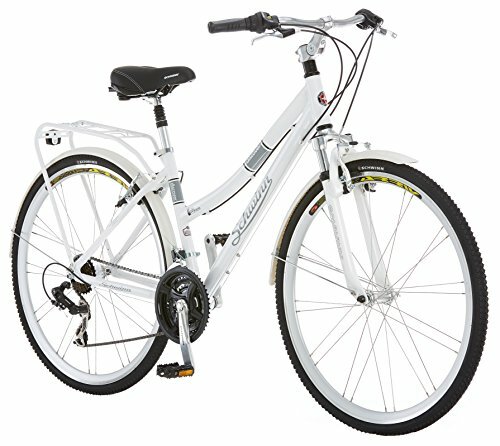 You can also purchase either a 1-speed, 3-speed, 7-speed, or 21-speed bike depending on your preferences. All bikes come with a smooth shifter to keep it simple. Most cycling companies seem to focus mostly on the seat cushion, and not so much on the tire cushion. However, the sixthreezero Around the Block Men’s Cruiser Bike comes with not only a comfortable seat but also cushioned tires to keep the ride smooth regardless of the cracks in the road. Why We Liked It – This cruiser bike looks and feels classic, but obvious modern technological advancements propel it to one of the best cheap bikes on the list. Looking to commute on a bike? Maybe you’re just trying to find something to get you around town and to a friend’s house. Whatever the case may be, sixthreezero has a great solution in their Ride in the Park Men’s Touring City Road Bicycle. 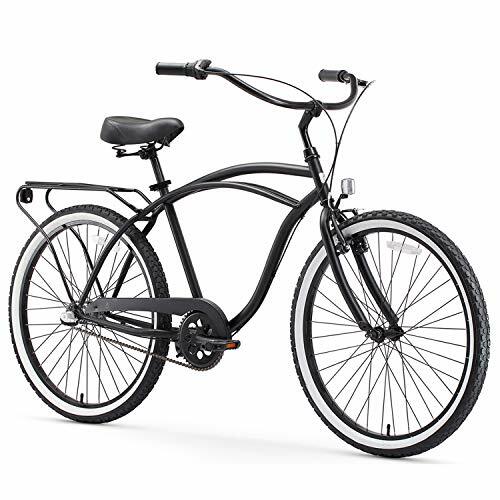 Designed for sleek style and casual comfort, this bike has it all. Aluminum makes up the lightweight, durable frame with this road bike. It creates a build that works perfectly for long-distance rides without leaving you feeling sore along all the pressure points. Why buy a bike if you’re going to have to turn around a get a new seat cushion, brakes, or handlebar grips? This one comes with everything you need to get started. 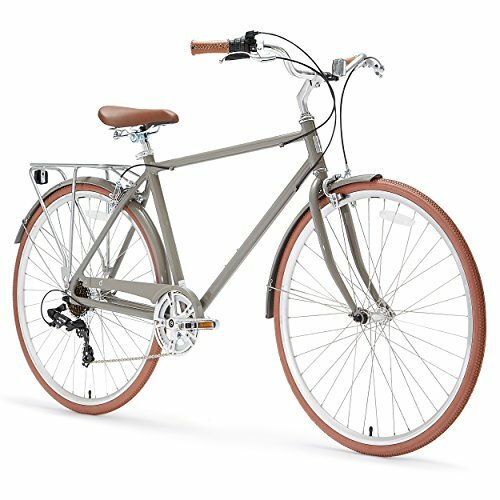 The off-grey and brown coloring of this bicycle looks incredibly vintage and sleek, while maintaining a low-profile. It doesn’t make everyone look at the bike, which is a nice touch for when you have to go in stores, lock it up for school, and so on. The design is good for both going unseen as well as increasing speed quickly. Why We Liked It – This bike has a vintage throw-back look. The lightweight design helps you guide the bicycle wherever you need to go, at the speed you need to get there. Despite the name, the Firmstrong Urban Man Beach Cruiser bike is meant for an adult. The ideal size and build are made for people 5’5” and above, and almost any weight. If cruising is your ideal pastime, then this bike is definitely something to look into. It’s class in appearance and quick as can be! That feeling of getting a new bike is only made better by having more colors to choose from. Choosing your favorite color makes it suit you best, which is why Firmstrong offers tons of different options. Black, Orange, Emerald Green, and Chrome are just a few of the massive color selection. The upright sitting position provides by the seating level takes all the pressure off your back in an instant. We all know how painful it can be to ride an uncomfortable bike, sitting at an awkward angle. Fortunately, you don’t have to worry about that here. The cushioned seat, gripping handlebars, and easy-access handbrakes top it off for an all-around high-quality bike. 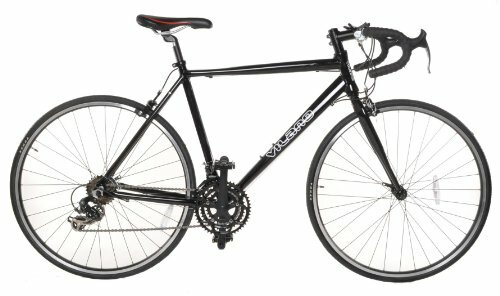 The simple design of the Vilano Aluminum Road Bike is straight to the point and highly effective. For those who don’t want to waste time on all the customizable conveniences, this low-profile, mono-colored bike is right up your alley. Although the style isn’t the highest concern, it’s quick, comfortable, and smooth. Road bikes have to be comfortable since they’re the type of bike that you ride for longer periods of time. The seat comes with a double-sided cushion, as well as an adjustable leveler to angle your back correctly. The handlebars are 100% foam padded and wrap around for an ergonomic feel. With brakes conveniently located for quick usage, it’s unlikely that comfort will be a problem at all. The weight and durability of this cheap bike is right in the name. Aluminum is one of the few materials that should ever be used with road bikes these days, as it’s the perfect combination of speedy and strong. It also gives you ultimate control of direction, regardless of how fast you’re going. Why We Liked It – Not everyone feels the need to buy a fancy, flashy bicycle. If you’re all about the actual usage of the bike and not the colors, then this is your bike. That being said, there’s a few to choose from that’ll give you a little bit of range. Mountain bikes are amazing models for off-road cycling. Whether you’re tearing up the hills or cruise down a dirt path, these are the bikes that any outdoorsmen desire. The three requirements that all mountain bikes need are 1) durability, 2) comfort while riding over rough terrain, and 3) quick-acting brakes. The good news is that the Northwoods Aluminum Full Suspension Mountain bike has all three! Moving through the hills, dirt, and grass at quick speeds is obviously going to put a lot of wear and tear on most bikes, and even some riders. Luckily, the 21 speeds to choose from allow you the freedom of picking exactly what you’re looking for. No more unnecessarily sore legs and torn apart gears. Choose the speed, and adjust whenever it’s applicable. The aforementioned strength and durability of aluminum are nearly unparalleled in the construction of bicycles. Combined with steel, it’s the ultimate mountain bike. You’re going to be roughing it on the trail, so it’s always good to have two incredibly durable metals keeping things as they should be. Why We Liked It – It’s a simple yet well-constructed product that makes it easily one of the best cheap mountain bikes on the market. What’s not to love? See more mountain bikes under $1000. Regardless of the fact that you’re looking for a low-cost bike, you should still get exactly what you have in mind. Less money shouldn’t mean you get a bike that rusts out or breaks down in a couple of years. It also shouldn’t mean that you can’t have more than a couple of speed settings to choose from. With all of the cheap bikes coming out of the woodworks, you don’t want to fall for another brand’s schemes. They might claim their bikes are durable, but if it’s not aluminum or steel, steer clear. Other construction flaws can come in the form of low-grip handlebars, cheaply made hand brakes, and hardened seats. Speaking of uncomfortable seats, always make sure that you’re getting the comfort you deserve. It doesn’t matter if you’re spending a thousand dollars or one hundred dollars. You worked hard for that money, so make sure you get the bike you should get! Other features to look for are much more person-to-person. These might include color preferences, adjustable seats, handlebar grip material, and bounciness of the tires. Some of them are much more important depending on the terrain you’re riding on. Mountain bikes need a heavy bounce and a durable build to ensure a smooth ride. 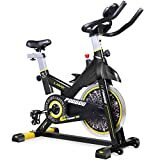 Road bikes are meant for speed, acceleration, and longevity, so you should look for one with multiple speed setting and a nice, comfortable angle for the seat and handlebars. Beach cruisers are for leisure riding, so just choose whatever is the most comfortable and easy for you to ride around the streets with. Whatever you decide to go with, make sure you’re not settling. 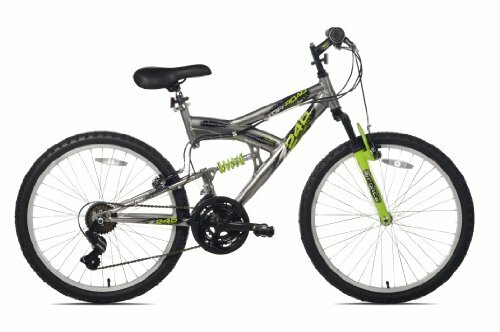 Finding the best cheap bike for you is a serious endeavor! It’s also incredibly fun, exciting, and most of all, it’s rewarding. It has actually been shown to promote a youthful immune system!